This is a remarkable building. More history and more photos to follow. I am not happy with the ones I have taken, but as far as I am aware these are the only ones published of the memorials and pulpit. I feel I will be returning here to update the pictures at some time. 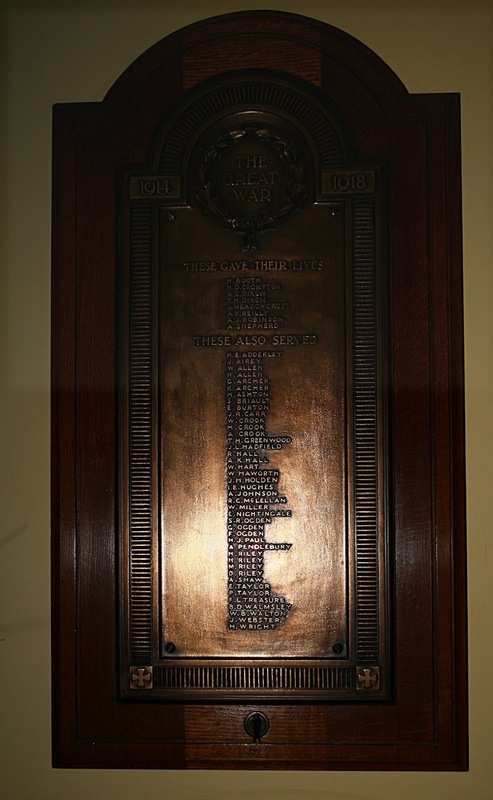 There is more information on these memorials at the War Memorials Archive numbers: 42403 and 42404. Not quite sure of the translation - Seems to mean "the new life+1918"
An angel appearing to bear a naked man away. The sun is rising (hopefully) in the background bottom right. There will be more images added in future. There are a couple of dedications around the church and a link will be added to the site in due course too.